Here is an example of how can look vanilla objects in a modern style. ModernHD converts the original look of all blocks into what you are used to seeing in your daily life. 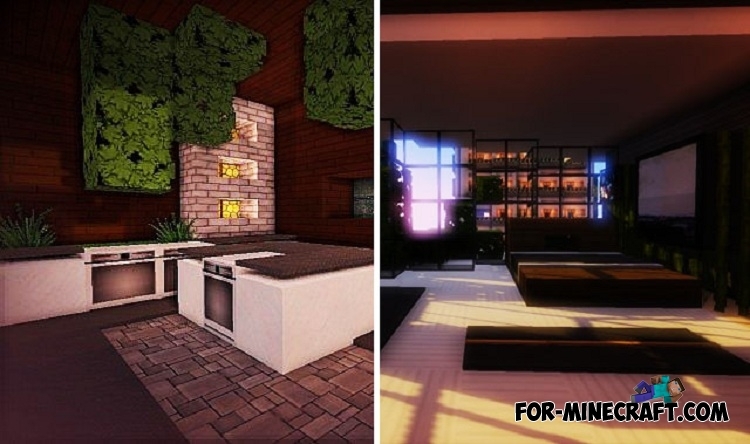 For example, without even installing furniture mods, you get a tv, a kitchen set, lamps, tables and shelves, house plants, modern paintings and other things from the 21st century. It is not necessary to say that all new items do not work and do not have any functions, their only purpose is to decorate your home. 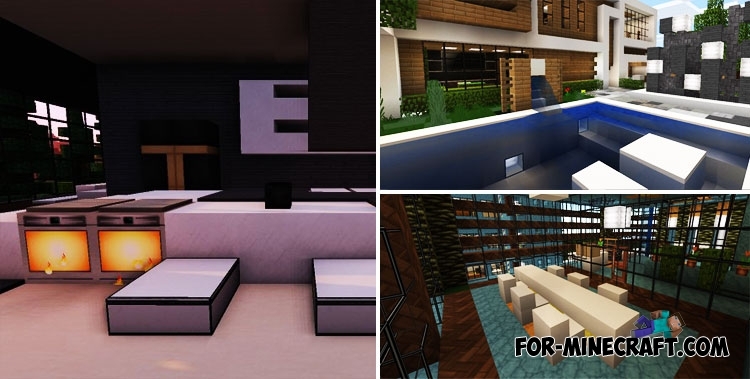 You probably saw beautiful screenshots depicting modern buildings, large skyscrapers and beautiful rooms. In most cases, it was this pack that was used when creating pictures. 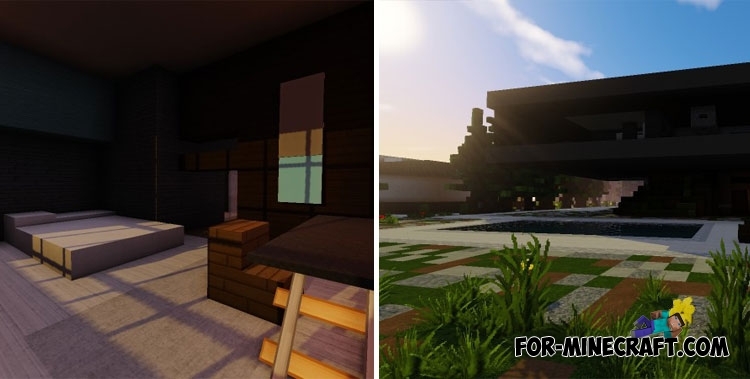 In general, ModernHD is a very popular texture pack ported to all platforms (including MCPE) supporting the installation of additional content. How to install the ModernHD texture pack?